There is a surefire way to invite a bit of trouble into your life: announce on your blog that your January is going very well. I went into last weekend feeling buoyant, riding on the waves of the positive things happening for our family lately and looking forward to a Friday evening book club meeting, a Saturday morning writing session, and a Sunday afternoon skating party with friends. But by Saturday afternoon I was fretting and grumbling. I had fallen into the dangerous trap of mentally comparing my writing with other people's at the morning session and making myself feel inferior, and then I read the news and realized that over the past few months I had likely eaten dozens of containers of organic greens that may have been contaminated with listeria. (So much for salad being a healthy lunch choice!!) On Sunday evening, Will and I spent a couple of hours in the hospital ER, waiting for him to get his painful wrist looked at after he took a tumble on the ice at the skating party. Needless to say, the weekend looked quite a bit different than the one I had been anticipating. I have a bad habit of getting sucked into an instant vortex of negativity when minor setbacks happen, and turning small problems into imaginary bigger ones. I often have to remind myself to step back and look at things from a more balanced perspective, to find the positives among life's typical challenges. Listening to other people's good writing is a pleasure and a valuable learning opportunity; eating recalled lettuce does not automatically lead to illness. A fall at the end of a skating party means everyone got to enjoy themselves for a good while first. A suspected broken bone can turn out to be only a sprain, and we can be thankful for good doctors and nurses who treated Will kindly and had us in and out of the ER in under two hours on a Sunday evening, feeling reassured that all was well. 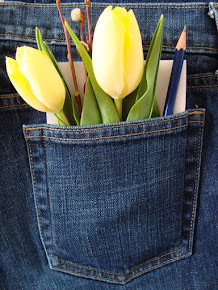 In the spirit of focusing on good things, I'm sharing another edition of Worth Keeping in Your Pockets today. It feels like it hasn't been long since the last time I wrote one of these, but I've discovered several nice treats lately that I think you might enjoy, too! Flavoured Honey: We love using honey as a natural sweetener in our kitchen, so I was excited to learn that someone in our neighbourhood keeps bees in her backyard. 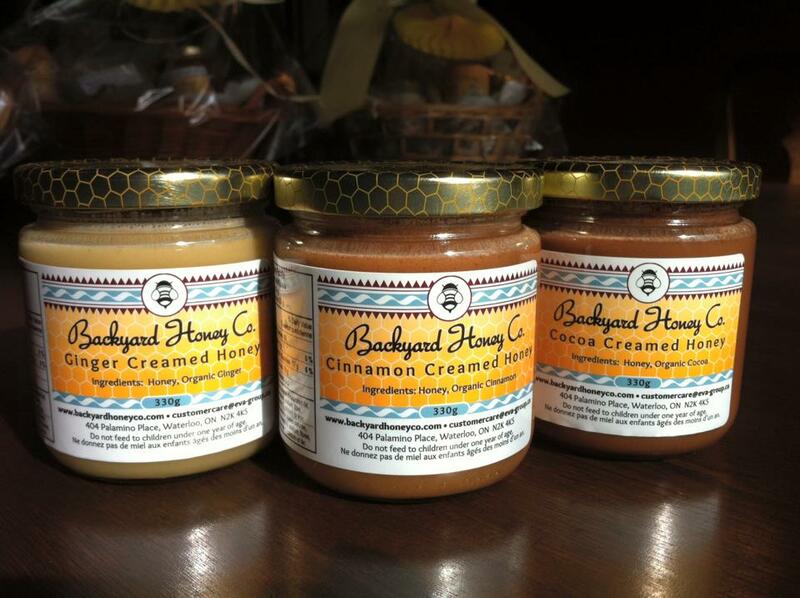 Catherine Young, of the Backyard Honey Company, is running a lovely business selling a variety of locally made products using honey created by her bees. She also shares her extensive knowledge with school children and other community groups by giving educational Bee Talks. I was welcomed into Catherine's home to sample and learn more about her products, and I left with two jars of the most delicious flavoured creamed honey, one cinnamon and one cocoa. The boys savour a bit of these sweet spreads on their morning toast with nut butter, and I'm sure they'll be asking for more once our two jars run out. If you'd like to learn more about Catherine's beekeeping or would like to purchase some of her honey, you can find her here. It's so nice to support local small business people who are sharing something wonderful with their communities. Happy Face Spoons: Need to add a little cheer to early, dark winter mornings? 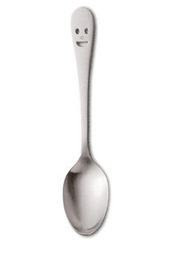 How about a happy face spoon for your cup of coffee or your bowl of oatmeal? I found these smiling utensils at Fenigo before Christmas and couldn't resist them. I gave Will the jam spreader in his stocking, which he now enjoys using every morning to make his toast just the way he likes it: with a generous dollop of cashew butter and a bit of jam or honey enthusiastically smushed beyond recognition into it. Happy Face Cutlery comes in all shapes and sizes (dessert forks, grapefruit spoons, vegetable peelers, butter knives, tea strainers, and more) and they make a fun addition to a utensil drawer, a lunch bag, or a food gift for a friend. Best Slippers Ever: When my sister-in-law Becca came to visit us with her family back in November, I was smitten with the slippers she was wearing. 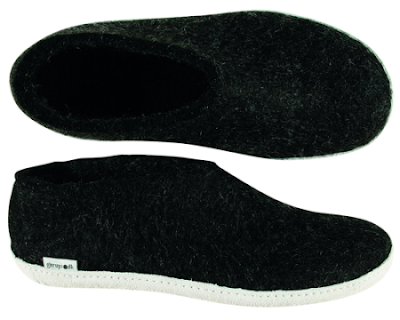 They were glerups felted wool ones and they looked so warm and comfortable on her feet. Matt took note and thoughtfully gifted me a pair for Christmas. My typically cold feet are deliriously happy now -- the slippers hug my feet nicely, cushion every step, and keep my toes feeling perfectly toasty. My husband knows just the way to my heart! These slippers were one of my favourite gifts and I will appreciate them every day this winter. 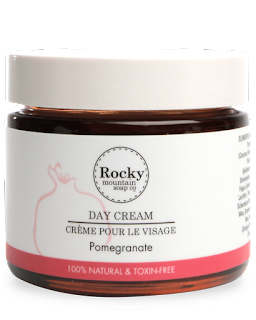 A Lovely Natural Face Cream: I've mentioned the Rocky Mountain Soap Company here several times before, and it remains the place I return to again and again for gentle, natural skin care products. 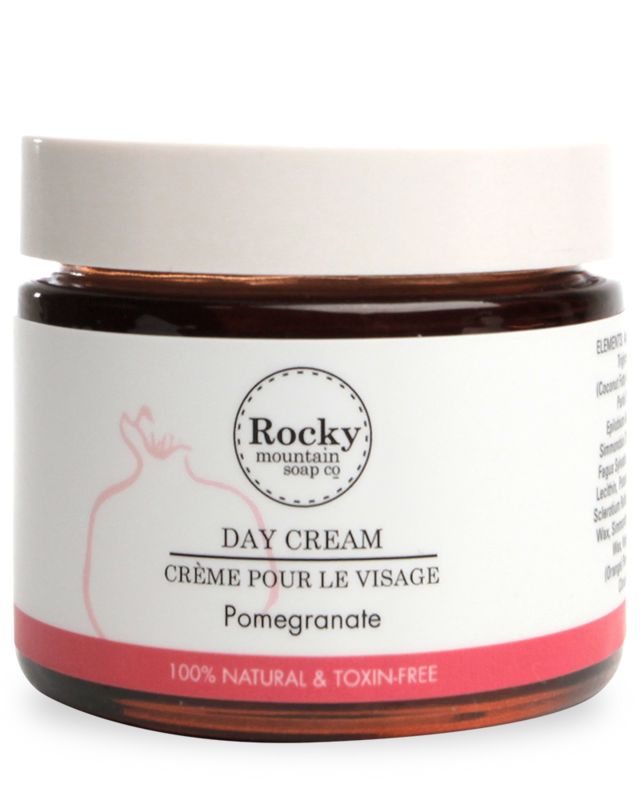 My latest discovery from their online shop is the Pomegranate Day Cream, which I am very happy with as a daily facial moisturizer. The cream is light and non-greasy, smells lovely without any chemical fragrances, and moisturizes skin beautifully, even in harsh winter conditions. I only need to use a little of the cream each morning, so a small jar lasts a long time to help give my skin a healthy glow. A Favourite Laptop Sleeve: With Noah schlepping his laptop back and forth to school every day for course assignments now, he needed some kind of protective sleeve to prevent it from getting damaged. (A teenaged boy's backpack gets some pretty rough and tumble treatment over the course of a full day, I'm sure.) 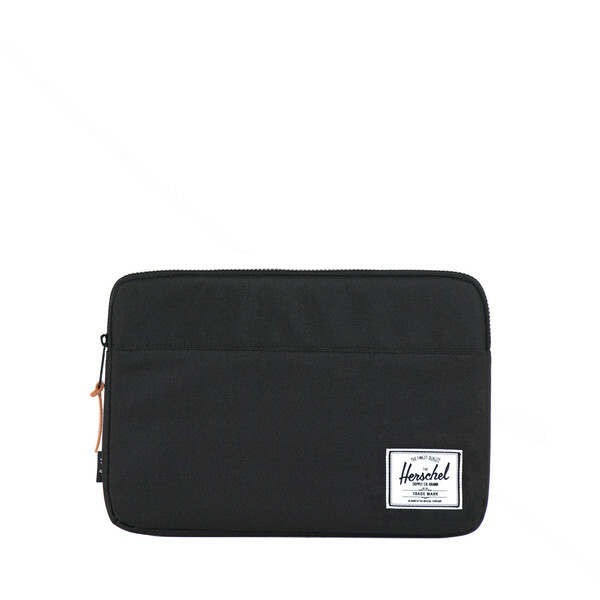 I found this sleeve by Herschel online and Noah has been really glad to have it. The design is classically simple, but the features are very nice; it has a sturdy zipper and super soft plush lining to offer good cushioning. There is also some stylishly fun red and white pinstripe detailing inside. I like this well-made product from a Canadian company so much that I'd like to get one for my own laptop next. Chalkboards and Daily Riddles: I found a fun-shaped, small-sized chalkboard at HomeSense a few weeks ago that was just right for the empty wall space in our laundry room. The cheerful yellow frame brightened up the utilitarian room a little right away, but it's what I've been using the board for that has really made things livelier around here. Every day I write a new riddle on the board once everyone leaves for work and school -- a word wink, a jumble, a logic puzzle, or a math challenge of some kind -- and leave it there to see who can figure it out. I first presented a riddle as an experimental use of the chalkboard to see how it took, but this has quickly become a challenge everyone looks forward to each afternoon (and I've been kept on my toes trying to find new and more complicated puzzles to keep them thinking!) There are lots of online resources for riddles and puzzles if you do a quick Google search, and many good books available as well. I keep hoping the fact that the boys are spending more time in the laundry room reading and solving puzzles will somehow encourage them to do more of the actual laundry, but so far no luck. Oh well, the daily riddles have been a fun family activity for all of us! Here's to the small but good things that are all around us when we take the time to notice and be grateful for them.